We’ve taken a hiatus from our milk tea frenzy for a few months. And now the cravings are back. 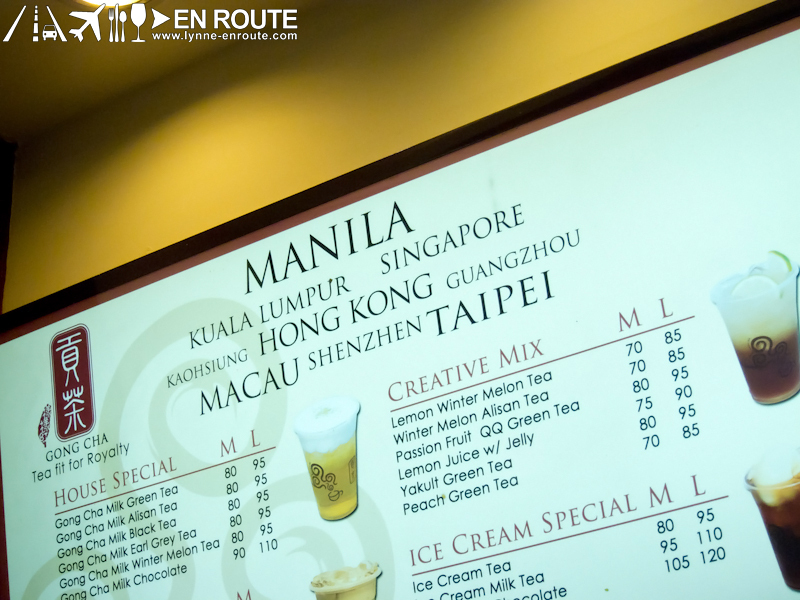 We add yet again to our ever-growing list of milk tea places to try and give verdict to. It was a hot and sunny Sunday when thirst got the better of us and we found ourselves in search of milk tea in SM Mall of Asia. We know it was somewhere and we just had to keep on looking. 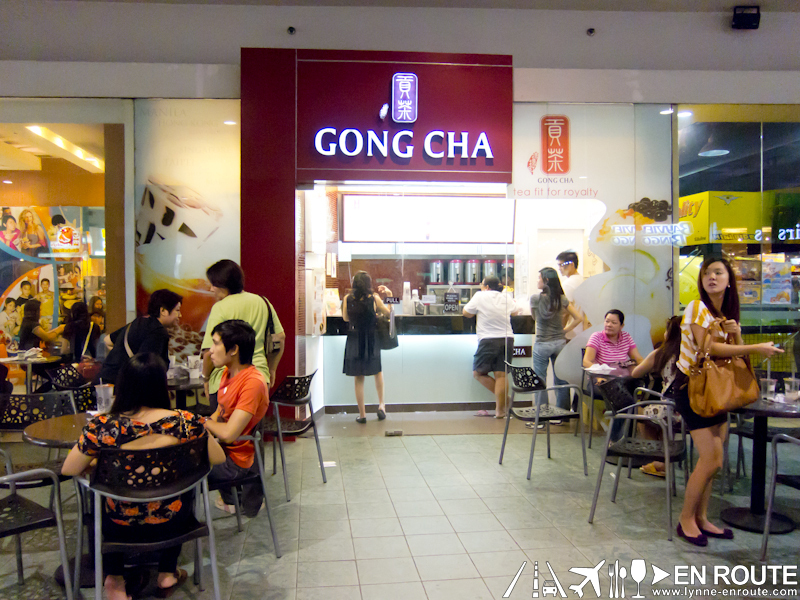 Unlike the bright colors of Chatime and the giant lemon of well, Happy Lemon, Gong Cha’s facade is quite simple and unimposing. The only giveaway that it’s a good place to try is that all the tables outside are taken (there are no tables inside the actual store of the MOA branch). They don’t offer a roasted rice variant so we got a Royal Milk Tea with Pearls and the Yakult Green Tea. 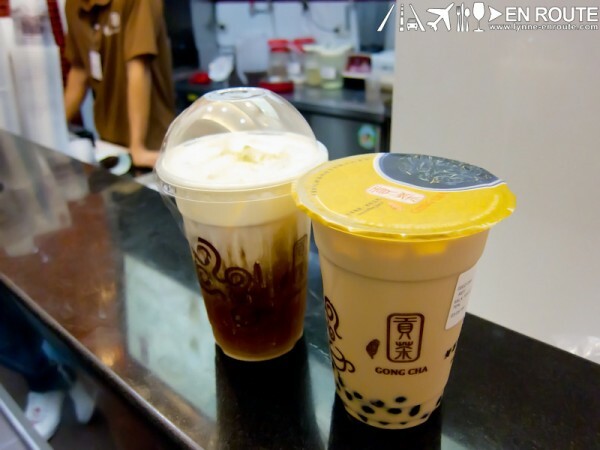 Their milk tea is automatically part of our top three. The tea flavor is very apparent and that’s one of the things we really look for. And for us, what might be an optional ingredient for others can actually be a deal-breaker for us: the pearls. 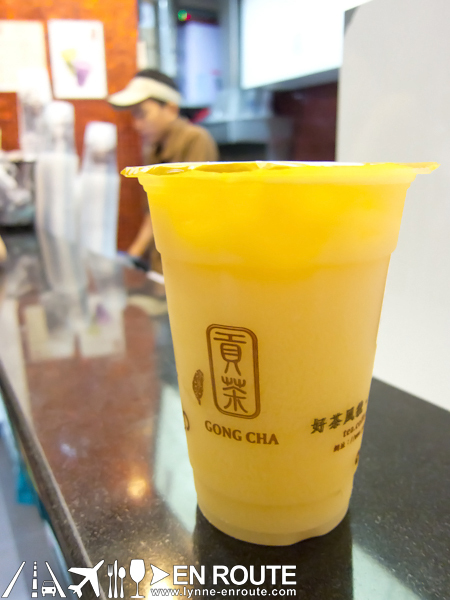 The Gong Cha pearls were nice and chewy and therefore merit our praise as milk tea fanatics. 🙂 The Yakult Green Tea had an unexpected tangy flavor from the Yakult which brings back so much nostalgia from childhood (who didn’t grow up with Yakult?). It added more zest to the drink and made it more refreshing to chug along. But wait, there’s more. We decided to get a 3rd drink, their Lemon Winter Melon Tea. What’s nice about this winter melon drink is that it’s not too sweet, which is sometimes the tendency for most outlets. Granted that Filipinos typically have a sweet tooth, but sometimes, you want to go easy on the sweetness and just savor all the other flavors. After going by all those drinks so fast, that leaves us to wonder why we ever took a break from all the yummy milk teas to begin with. 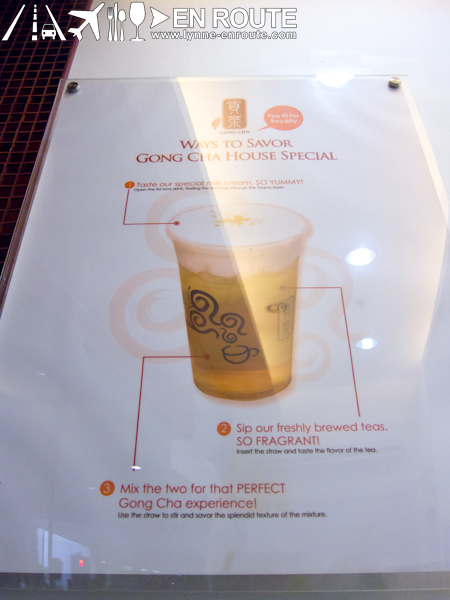 Check out their menu from the Gong Cha Philippines website and what they have to say on their Facebook page. Liked this? Check out what else we’re talking about on Facebook! They also have a branch at Il Terazzo in Tomas Morato. I guess it’s a new branch 🙂 The wintermelon tea is simply the best! They have two branches, 1 in Jesus St. Pandacan Manila and the other one is in Teresa St. Sta Mesa Manila, near PUP Manila. hi have you tried tea monkey tamayaki and tea? Tea Monkey Tamayaki? No I can’t say I’ve tried that. What is that?